The Roman commander Julius Caesar (100 BCE – 44 BCE) used a very simple cipher for secret communication during the Gallic Wars. He substituted each letter of the Greek alphabet with a letter three positions further along. As he and his legions crossed through modern France and Germany, if his messengers were intercepted by the Celtic tribes he was fighting against, even the Celts that had learned Latin and Greek in their dealings with Roman traders would be faced with an unfamiliar scrambled alphabet. Later, military communications experts referred to any cipher that used this “shift” concept for the creation of a cipher message as a Caesar cipher. One of the advantages of the system is once the system is agreed upon, no one sending or receiving messages has to carry a codebook or special table or chart. 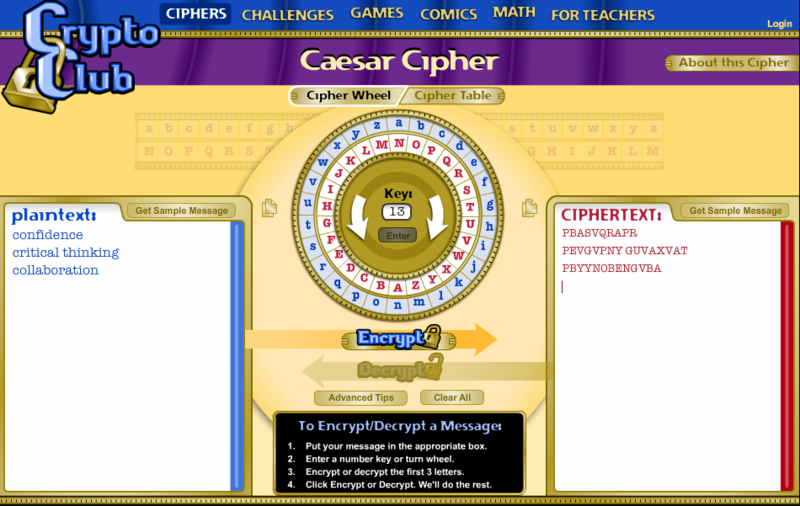 In the vocabulary of codebreaking, Caesar’s cipher is a symmetric cipher, where the encryption (hiding) and decryption (discovering) keys are the same, and is very simple. As long as his commanders were literate, and the amount of "shift" between the plaintext alphabet and the encryption alphabet was known, they or their staff could quickly write or even mentally transcribe the message letter by letter while sitting on horseback on the march. 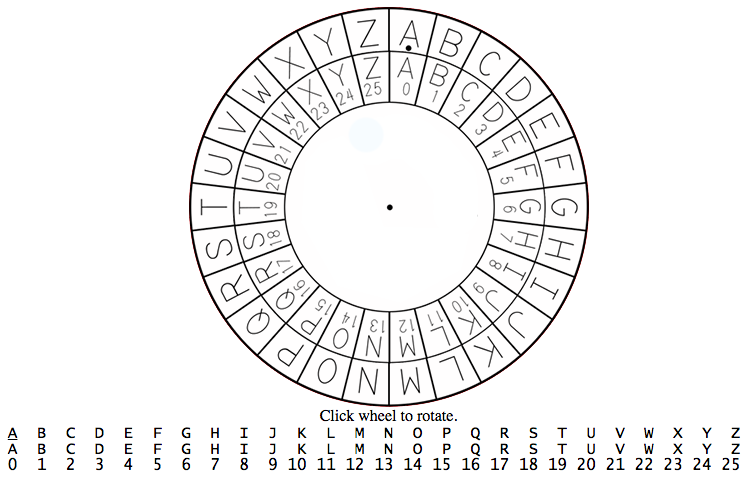 Of all the substitution type ciphers, this Caesar cipher is also the simplest to solve, since there are only 25 possible combinations that hide the original message. For Caesar, this was not a problem, as the messages he was sending usually included time-critical information about the movement of troops--the message only had to be secure long enough for him to get his legions on the march. Balancing security with ease of use to meet the needs of the message made this an effective tool for many years. Military communications experts study the Caesar cipher because it is the foundation of many more complex cipher systems. It is also a very popular coding exercise for computer programmers as it requires development of skills in assigning variables, developing repeating routines, and storing and retrieving information. The PlanetCalc application below is a particularly fine example of the power of automation and computers in cryptanalysis. 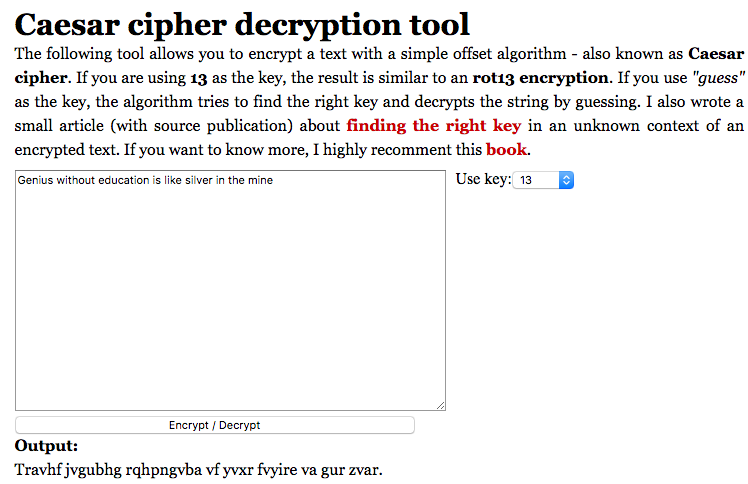 It uses "brute force" decryption, where the ability to quickly test all 25 other possible patterns of the letters at once (founded on the assumption that the order of the alphabet has not been changed) allows cryptanalysts to skim the resulting samples and look for familiar patterns in English or another target language without the tedious business of attempting to break the message by hand (manually).